I started riding my bike before I can remember. Dad was a keen cyclist when he was younger but stopped for a while and started doing some fun mountain bike races when I was younger. We then joined Team Keyne and that was it. Did some national races and never went back. 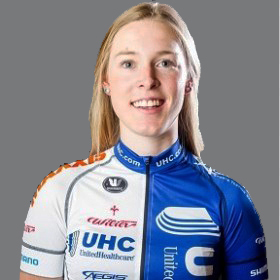 UnitedHealthcare Pro Cycling team. Mara Abbott who won the Giro Rosa last year is in the team. Also Lauren Tamayo who came 2nd in the TP at the London Olympics. Rachel Heal is the teams DS. She was a British rider who podiumed numerous times in the nationals and went to the commies for England. The race calendar is looking really good. I am going to some amazing places and doing some great races. I am moving to Asheville, NC on the 6th January and then travelling to Argentina for my first race on the 9th January.